After a lot of watercoloring, picking up a pen and using ink to draw feels really relaxing. Adding watercolor to a pen drawing doesn’t need a lot of color, but it does require a bit of thought about light and shadow. 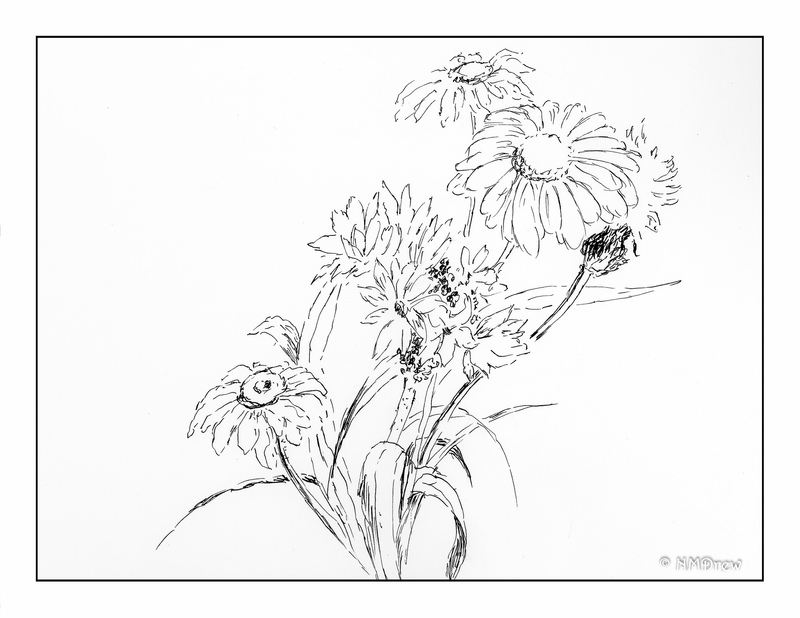 I thought about a daisy study of Peter Sheeler’s on YouTube – I remembered how very little color he added to his ink drawing of the daisy. With this in mind, I put in some greys and grey-blues. 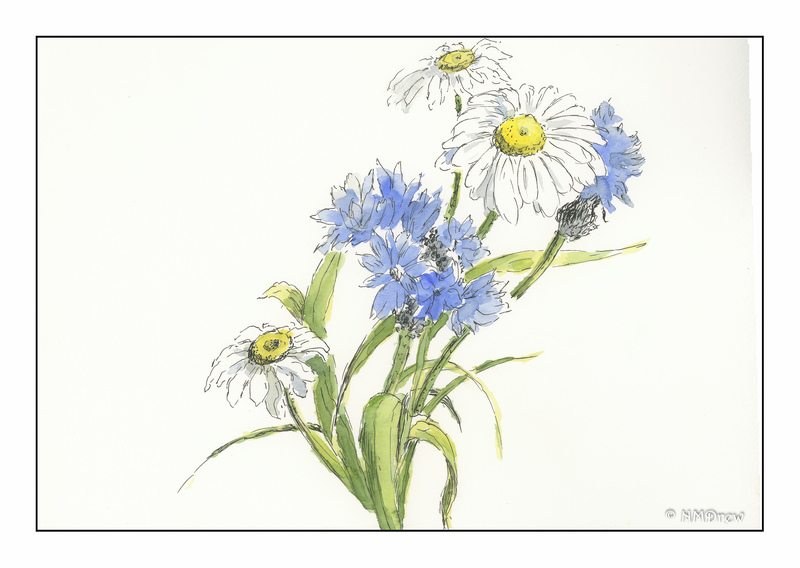 I tried to apply the same concept to the blue flowers (which I want to call cornflowers, but don’t think they are), and to the grasses and leaves. Below is my ink drawing, done freehand without a pencil sketch beforehand. I am rather pleased with both – my inking skills are improving, as, perhaps, are my watercoloring skills. Less is more has become more of motto than before! Thanks, Sharon! I admit I was pleased with it. So lovely and simplistic! Soft and charming! Great job! Thanks so much, Annie! Flowers are so wonderful.